Oh no! 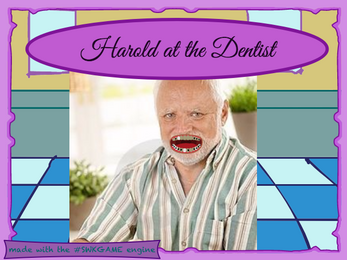 Harold was too busy reading that they haven't been brushing their teeth! Help clean up their boring mouth so they can go back to being a dad with their beautiful pet dog, "Vampire Iron Man".